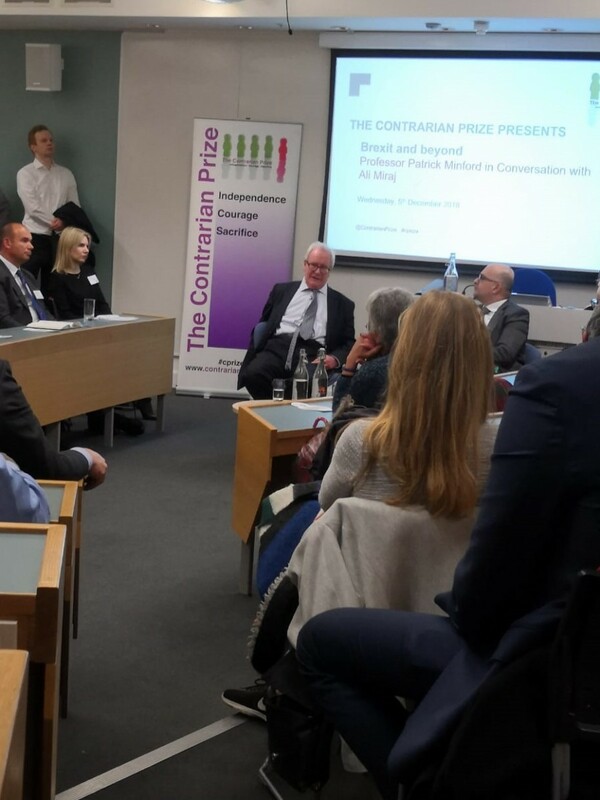 Professor Patrick Minford, winner of the Contrarian Prize 2017, was in conversation with Ali Miraj at Cass Business School on Wednesday 5 December 2018 to discuss "Brexit and beyond". In a lively and wide-ranging discussion Professor Minford outlined his argument as to why he beleives that a "no deal" Brexit is the best course of action for the country. He explained that the UK would revert to WTO rules and that fears of lorries queuing up on the motorway to Dover were completely overblown. He argued that in a no-deal scenario flights would continue to take off and land in Europe and that the economy would receive a boost as a result of a lowering in the cost of imports. Minford has demonstrated independence of thought throughout this career often, at odds with his colleagues in the academic economics establishment. Not only is he a strong advocate of now leaving the EU without a deal, he was also a supporter of Mrs Thatcher’s economic policy and an opponent of the UK joining the ERM and then later the Euro. Leading economist, Professor Patrick Minford, has won the 2017 Contrarian Prize. The prize recognises individuals in British public life that put their head above the parapet on grounds of principle and demonstrate independence, courage and sacrifice. Minford was one of a handful of respected economists to back Brexit. His penchant for breaking ranks with his academic contemporaries dates back to his support for the monetarist policies espoused by Margaret Thatcher in 1983. He founded “Economists for Brexit” arguing that many of his colleagues had “deliberately rigged” their assumptions to generate apocalyptic predictions of economic collapse. He argued that Brexit would expand trade and that Britain could interact with the EU under WTO rules whilst benefitting from lower consumer prices and less regulation. 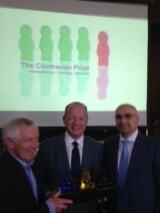 The prize was presented by columnist and former editor of the Times and Evening Standard, Sir Simon Jenkins, at an eclectic gathering of leading individuals from multiple fields including finance, business, law, the media, politics, the charitable sector, the arts, academia and dance music, at the Bernard Jacobson Gallery in Piccadilly. "I am delighted to have received this prestigious prize. I have always championed what I have believed in for the economy- as it is so important to people’s lives. Thatcherism brought about great gains in living standards and I am sure free trade outside the EU will do the same.” said Minford. The prize, symbolised in the form of a stunning sculpture entitled the “Three Politicians”, was produced by the renowned pop artist, Mauro Perucchetti. 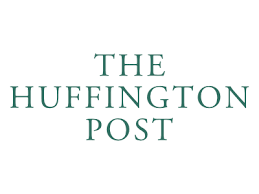 The founder of the prize, Ali Miraj, 42, said, “We had scores of nominations again this year. Patrick Minford has gone against the grain and displayed independence of thought by breaking ranks with the majority of the academic establishment to advocate a different view on Brexit and won the argument”. The Contrarian Prize is not backed by any large corporates or foundations. It is funded by a small number of private individuals who believe that recognising those that stand up for their beliefs is important. Now entering its fifth year, nominations for the Contrarian Prize 2017 are open. Having established the prize in 2012 and awarded three prizes since then, we decided to move to a biennial cycle and award the prize every two years to allow extra time for the potential winners of this prestigious award to be nominated. The beauty of this process is that nominations come from the public and can be for an individual in any field provided that the person being put forward is a public figure and meets the criteria. There are four elements that the judges look for: independence of thought; courage and conviction in their actions; they should have made a sacrifice; and they should have introduced new ideas into the public realm of had an impact on the public debate. You do not need to personally know the person you want to nominate or seek their approval first. Ahead of the Contrarian Prize lecture on 2 December 2015, Ali Miraj has written this piece about the 2015 winner, SImon Dancuk MP, . Simon Danczuk - the MP who has led the calls for a public inquiry into child sexual abuse - has won the 2015 Contrarian Prize. The prize aims to recognise individuals in British public life that put their head above the parapet on grounds of principle and demonstrate independence, courage and sacrifice. Danczuk, who exposed the paedophilia of former Rochdale MP, Cyril Smith, piled pressure on the Home Secretary to establish a wide-ranging and credible inquiry after two botched attempts to appoint a Chair. In “Smile for the Camera”, a book he co-authored, he alludes to the fact that Smith could not have acted alone and must have been protected by a wider group of powerful child predators. The prize was presented by the renowned broadckaster Jonathan Dimbleby, at an eclectic gathering of leading individuals from the worlds of finance, business, law, the media, politics, charity, the arts, academia and dance music, at Maison Assouline in Piccadilly. “I feel honoured to have won this prestigious award. Child abuse has affected many people in this country and it is important that their stories are heard and that the perpetrators are held to account”, said Danczuk. It has been reported that a fellow MP warned Danczuk not to raise questions about what Lord Brittan knew about allegations of child abuse when he was Home secretary in the 1980s. The New Zealand based judge, Justice Lowell Goddard, was appointed in February to Chair the inquiry. 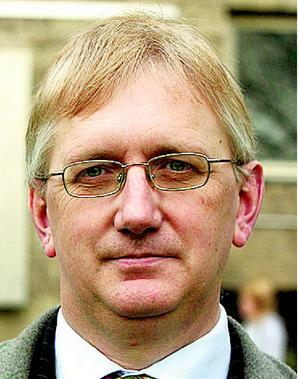 Craig Murray - Former British Ambassador to Uzbekistan, author and human rights activist. Spoke out about the use of intelligence obtained by torture in Uzbekistan and subsequently lost his job. Simon Danczuk - Politician, broadcaster and author. Exposed the paedophilia of former MP, Cyril Smith, and has led the charge in calling for a wide-ranging public inquiry into child sexual abuse. Ed Husain - Former Islamist radical, author and Adjunct Senior Fellow at the Council on Foreign Relations. Turned away from the dangerous path he was on and has become a leading proponent of counter-extremism and de-radicalisation strategies in the face of personal attacks. Nevres Kemal - Social worker and founder of a charity that supports whistleblowers. Spoke out about failings in child protection at Haringey Council and the associated risks six months before the death of Baby P and lost her job in the process. 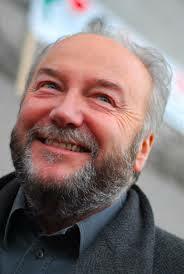 George Galloway - Politician, broadcaster and writer. Founded Respect following his expulsion from the Labour party. Has consistently spoken out on a whole range of issues including the war in Iraq, the Palestinians and Syria. 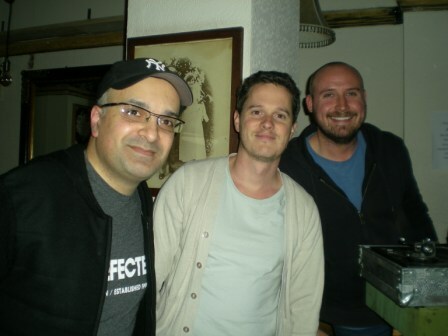 A well-heeled crowd of City professionals and creative Shoreditch aficionados mixed effortlesslessly as they were treated to sounds from a trio of DJs at the legendary Horse and Groom. Defected Records PR supremo, Greg Sawyer,, opened the bidding with a soulful selection of tunes with a touch of old school mixed in.coming in the form of the classic "Break for Love" by Raze. Nick Stevenson, publisher of MIxmag - the world's biggest selling dance music magazine - followed suit with a section of uplifting tunes including a unique remix of Fleetwood Mac's "Big Love" by Nic Fanciulli. 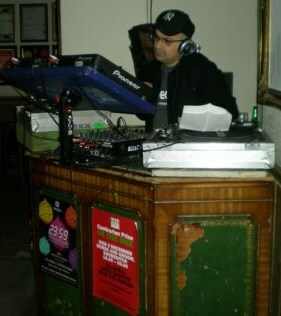 This set things up nicely for Contarian Prize founder and House Music DJ, Ali Miraj, who mixed up a selection of underground beats from the Hot Creations and Subliminal stables amongst others. The event was a lot of fun and is designed to engage the widest possible audience with the fundamental tenets of the prize and to get them thinking of individiuals to nominate for the prize. The Contrarian Prize would like to thank Greg Sawyer and Nick Stevenson for their unswerving support for the prize and for being part of its journey from an idea to a reality. Contrarian Prize 2014 winner, human rights lawyer, Clive Stafford Smith, gave a gripping, provocative and thought-provoking lecture to a packed audience at Cass Buinsess School on the evening of 19 November 2014. Challenging those present to confront their prejudices and to consider uncomfortable questions made the lecture unique. 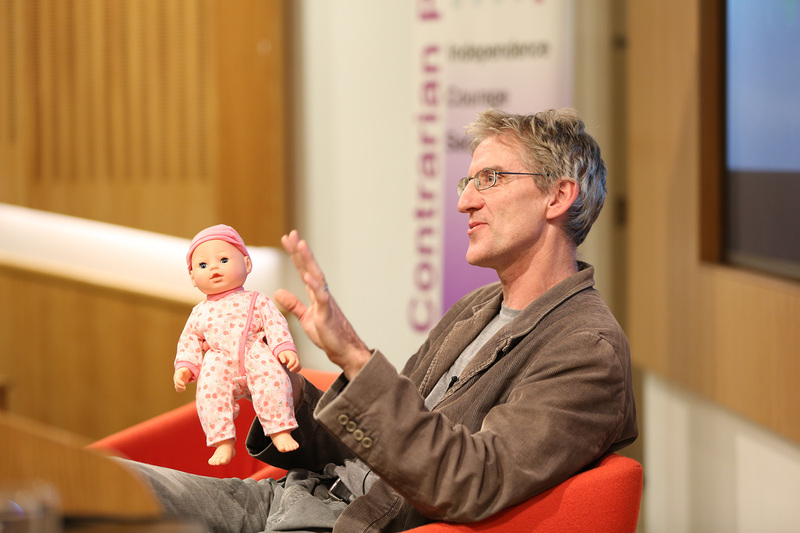 Stafford Smith set the scene by brandishing a baby doll and asking attendees what they would conclude if they were only told that the baby had been found dead in the freezer. He then went on to talk about the case of Kris Maharaj, a British businessman who has been on death row in Florida for three decades on the basis of spurious evidence. You can view the lecture here. Stafford Smith has been an outspoken opponent of the death penalty for years and has faced public opprobrium in the US for his stance. A man of conviction, he has showed determination and courage in standing up for his principles and representing those in the most desperate circumstances. The lecture was followed by a reception and book signing of "Injustice", the acclaimed book about the Maharaj affair. Whilst other international prizes organise white tie concerts in Oslo, we will be hosting the annual Contrarian Prize In the Mix Dance party In Shoreditch following its huge success last year. Ali Miraj will be joined on the turntables by Greg Sawyer from Defected Records and Nick Stevenson, from Mixmag from 6pm on 3 December at the Horse and Groom on Curtain Road. Please do join us. Where Are Our British Contrarians? The human rights lawyer, Clive Stafford Smith, has won the Contrarian Prize. The prize aims to recognise individuals in British public life that put their head above the parapet on grounds of principle and demonstrate independence, courage and sacrifice. 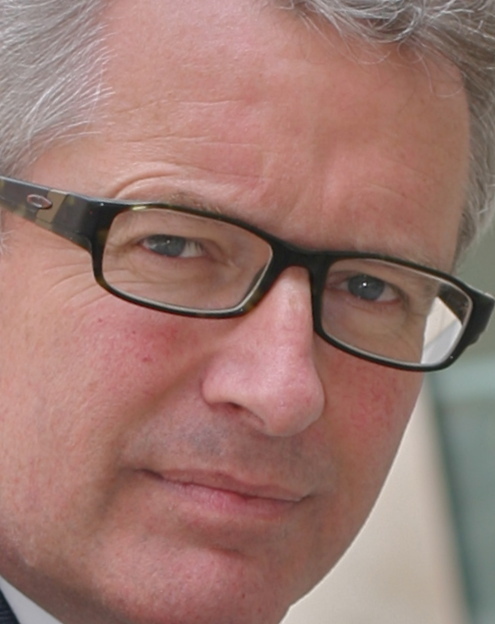 Stafford Smith who specialises in defending people accused of the most serious crimes, is Founder and Director of the UK legal action charity Reprieve. He has spent 30 years working as an attorney in the Southern United States, in City where he has represented over 300 prisoners facing the death penalty. Whilst only taking the cases of those who could not afford lawyers, he has prevented the death penalty in all but six cases. At an intimate gathering of guests from politics, business, the charitable sector, the arts and the media. at Coll & Cortes Fine Arts gallery in Mayfair, the prize was presented by the former editor of the Observer and current Principal of Hertford College, Oxford, Will Hutton. When the US military base at Guantánamo Bay was brought into service, Stafford Smith sued for access to the prisoners there believing the camp to be an affront to democracy and the rule of law. To date, he has helped secure the release of 65 prisoners from Guantánamo including every British prisoner. The Contrarian Prize 2014 shortlist has been announced. We have a diverse range of people on the list this year including a poet and a human rights lawyer. It is noteworthy that for the first time, a Westminster politician has made it onto the list. These individuals are not serial rebels. They are people who stand up for what they believe in and shape the direction of debate. They are the yeast in the mix. They challenge the status quo and refuse to conform to the accepted wisdom. They are courageous figures that are driven by a bigger motivation than career or title or recognition in a conventional sense. They are Contrarians and we applaud them. 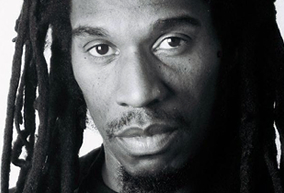 Benjamin Zephaniah is a poet, writer, musician and broadcaster and has graced our televisions screens for years articulating his views with passion and eloquence. He speaks up for his deeply held beliefs and does not shirk confrontation as demonstrated by his opposition to homophobia in his Jamaican motherland. Whilst he writes beautiful, witty poetry, he has eschewed being part of the literary establishment. Whereas many poets would have had no qualms about being garlanded, Zephaniah rejected an OBE because its very name offended him evoking empire and enslavement. Brian Cathcart is co-founder of the Hacked Off campaign, an academic and a former journalist. He is leading a call for change in press regulation. He has become a columnist on the ethics and behaviour of the press and is practically a lone voice among journalists in being prepared to challenge the editors and the "press barons" in the face of immense hostility and opposition from the newspaper industry. He has faced personal attacks on his integrity and reputation in print and is widely reviled among newspapermen and women for the principled and very public stand he has taken. He has made personal and professional sacrifice, losing friendship and respect among his peers and burning his bridges along with any hope of ever returning to his former trade. 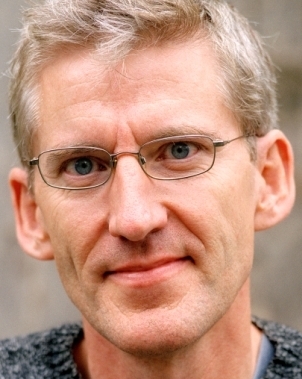 Clive Stafford Smith is a lawyer and the founder of the UK legal action charity, Reprieve who has not shied away from exposing and combating injustice. He has campaigned tirelessly for the abolition of the death penalty in the US for decades and has represented over 300 individuals on death row, achieving success in all but six cases. He has taken five cases to the supreme court and prevailed in all of them. He has also represented scores of detainees in Guantanamo Bay and consistently called for its closure. 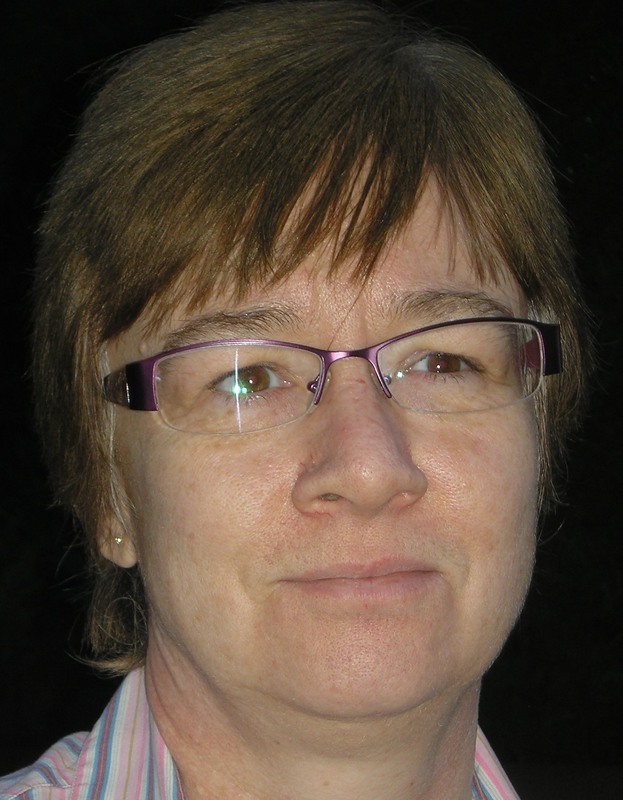 Kay Sheldon is a member of the board of the Care Quality Commission, the regulatorfor health and social care services in England. She raised concerns that public safety was being compromised by poor leadership and an inadequate inspections regime. When the issues she raised were ignored or denied, she had the courage to speak out when giving evidence to the Mid Staffordshire public inquiry, and then was smeared in an appalling manner for doing so. 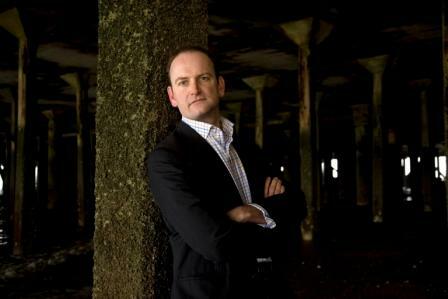 Douglas Carswell is a politician, thinker and polemicist. He has been an outspoken critic of the EU and has unashamedly called for Britain’s withdrawal from the institution. He has also written about the changing nature of politics given the rise of social media and the necessity of politicians to connect with their electors. He is an advocate of direct democracy where the public have more engagement in the political process through greater use of referenda, citizens initiatives and the right of recall. Clever and influential, he does not seek high office and cannot be bought off by the party whips. The Prime Minister’s decision to capitulate over the EU referendum is in no small part due to his persistence. 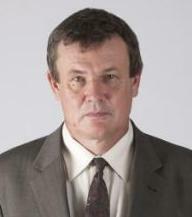 Peter Oborne is Chief Political Commentator of the Daily Telegraph. A prolific writer, he has authored several books including Alastair Campbell: New labour and the Rise of the Media Class, The Rise of Political Lying, The Triumph of the Political Class. He is more than just an accomplished hack. He has consistently advocated contrarian positions that put him at odds with powerful interest groups including the press and the political class. He has not shied away from confronting difficult issues in the face of virulent opposition as evidenced by his questioning of the accepted wisdom over the extent of the nuclear threat posed by Iran and his exploration of the rise of anti-Muslim sentiment in the UK. The winner of the Contrarian Prize 2014 will be announced at the prize-giving ceremony on Wednesday 2 April. 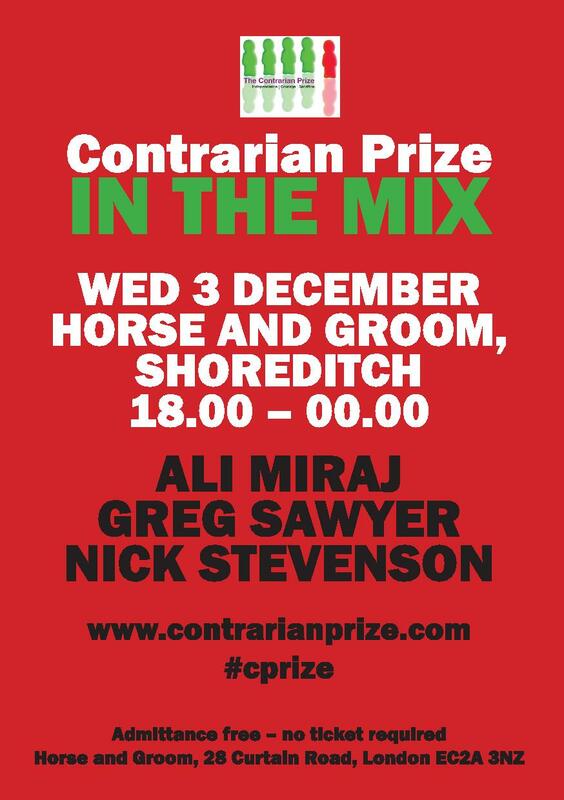 The "Contrarian Prize In The Mix" pre-Christmas party will be held at the Horse and Groom, 28 Curtain Road, Shoreditch EC2A 3NZ, on Wednesday 11 December from 6pm until midnight. In an effort to inform and engage the broadest possible audience about the prize, we are going to have a little fun. For those of you with a penchant for electronic dance music this will be the perfect opportunity to hear more about the prize and listen to some soulful House beats being spun by DJ's - Ali Miraj, Greg Sawyer and Nick Stevenson. Please do join us. Admittance is free but this will be a popular event so do arrive early. 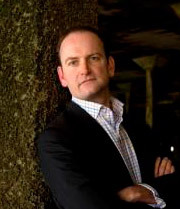 Michael Woodford, the former CEO and President of Olympus, who was sacked after trying to investigate a $1.7 billion fraud delivered the inaugural Contrarian Prize lecture on Wednesday 20 November 2013. Speaking to a packed hall at Cass Business School in the City, Woodford gave a gripping account of how, having assumed the top job after 30 years in the company, he discovered that a massive fraud had been covered up. Elegantly painting a picture of his ascent, he explained what he wanted to do in his capacity as Chief Executive including promoting more women and capable middle management to higher positions within the company. He spoke affectionately of his love of Japan and how fortunate he was to have gained such a position. But then, came the allegations of wrongdoing at the company. Facta, a Japanese magazine, alleged that three companies had been bought by Olympus for vastly inflated sums compared with their valuations and that $700 million in advisory fees had been paid in connection with the transactions. Woodford went about investigating what had happened and tried on several occasions to discuss his concerns with the President. He explained in detail the moment when he confronted the President about the wrongdoing at a lunch and was presented with a ropey looking tuna sandwich, whilst the President had an elaborate feast of sushi laid out before him. He tried to speak to the Head of Compliance but he simply retorted that he worked for the President. Having written six letters to the board expressing his concerns as well as commissioning PwC to conduct a special investigation, nothing was done and the board convened a meeting to fire him. Facta pointed out that the malfeasance was linked to “anti-social forces” within Japan which is code for the potential involvement of the mafia. Regardless of personal risk, Woodford stood up and did the right and honourable thing. “I would like to thank Michael for giving such a fascinating insight into what happened at Olympus and to him personally. If more people displayed similar courage, the business world would be much better for it”, said Ali Miraj, founder of the Contrarian Prize. We have much to learn from his incredible and emotional story. Those interested in hearing more should read his book, “Exposure: How I went from CEO to whistleblower”. It is to be made into a film. Ali Miraj has written a piece for City AM today ahead of the inaugural Contrarian Prize lecture which will be delivered this evening by ex-Olympus CEO, Michael Woodford at Cass Business School. 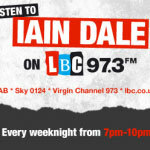 Ali Miraj was interviewed on Friday 27th September by Iain Dale. Nominations for the Contrarian Prize 2014 are now open. Following the scores of nominations from members of the public last year and the diverse shortlist, who will be in the mix this time? BBC Radio 4 examines the perception of whistleblowers in its programme, Whistleblowers: Saints Or Stirrers? 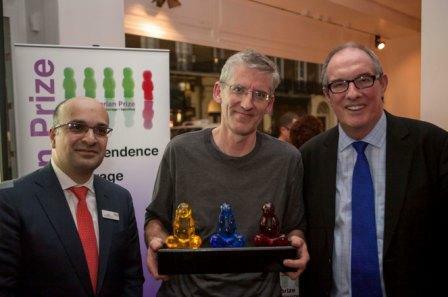 Click here to go to the Evening Standard coverage of the Contrarian Prize Winner 2013. Michael Woodford, the CEO turned whistleblower who exposed a $1.7 billion fraud at the heart of Olympus – the world-renowned electronics giant – has won the Contrarian Prize. 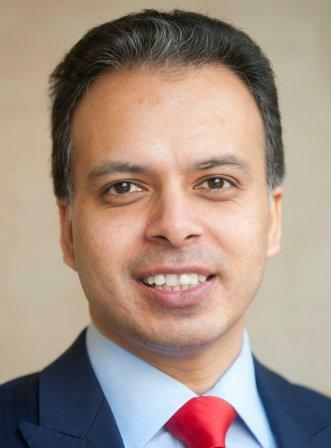 The prize, which has been founded by Ali Miraj, 38, a Chartered Accountant and former politician, aims to recognise individuals in British public life who go against the grain and put their head above the parapet by demonstrating independence, courage and sacrifice. Woodford who acted from the top of the organisation despite intimidation and coercion from the very people that promoted him, said that he was, “delighted to be the inaugural recipient of such a prestigious prize”. The prize itself which was donated by the pop-art sculptor Mauro Perucchetti, is a smaller version of an iconic work of art entitled “The Three Politicians” which was recently exhibited as part of a public installation of his work outside the Louvre. Woodford, who spent almost £1 million of his own money defending himself and won, displayed courage by acting alone and putting his own life and that of his family in danger because he spoke out. Driven by principle and the desire to expose what happened in an effort to “make us all safer” he acted ethically in a post-Enron, post banking-crisis world. 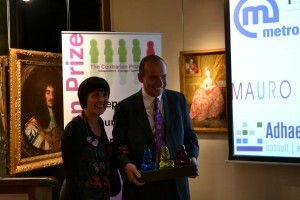 Renowned “pop-art” sculptor Mauro Perucchetti, has donated a prize to recognise individuals in British public life who go against the grain and put their head above the parapet by demonstrating independence, courage and sacrifice. The “Contrarian Prize” which has been founded by Ali Miraj, 38, a Chartered Accountant and former politician, aims to shine a light on those who have made a meaningful contribution to the public debate through the ideas that they have introduced or the stand they have taken. “When I heard about this initiative I was delighted to be able to play a part. 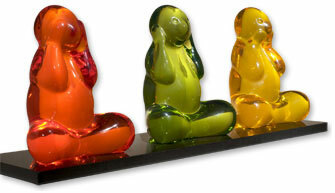 I have always believed in the importance of contrarian views” said Italian-born Perucchetti who is famous for his distinctive, large, brightly-coloured resin sculptures and has recently exhibited a selection of his work, in a public installation outside the Louvre. He has, in his pieces, addressed a number of thorny issues including cloning, contemporary consumerism and war. The inaugural prize-giving ceremony is at the Philip Mould Gallery in Mayfair on Monday 18 March. The shortlist of 5 contenders will be announced in the coming weeks. Nominations for the Contrarian Prize 2013 are now closed. The judging panel will be meeting in the coming days to discuss the shortlist which will then be announced. We have received a variety of nominations for individuals in British public life who operate in a myriad of sectors including business, politics, journalism and academia. The common theme that unites them is that they have all taken a stand and not compromised on their principles. It is exactly this kind of independence, courage and sacrifice that the Contrarian Prize seeks to recognise. We would like to thank all those members of the public that took the time to nominate an individual that they feel represents the qualities we are looking for. You have played a key role in a new and exciting venture. The public are screaming out for leaders of principle. But do our parties have any to offer? Click here to read the article in today’s Independent. You can hear the discussion by clicking here. The Contrarian Prize is featured in today’s independent. The article can be seen here. It is good to see that Justine Greening and Zac Goldsmith have stuck to their election commitment to oppose a third runway at Heathrow. The price for this position is that Greening has been moved from Transport to International Development and Zac has stated that if there is any change in Conservative Party policy ahead of the next election, then he will force a by-election in Richmond. Regardless of one’s personal view on the need for expansion at Heathrow, it is refreshing to see two politicians sticking to their principles and standing up for their constituents. Let us hope that others are inspired by their example.